Madi is using Smore newsletters to spread the word online. 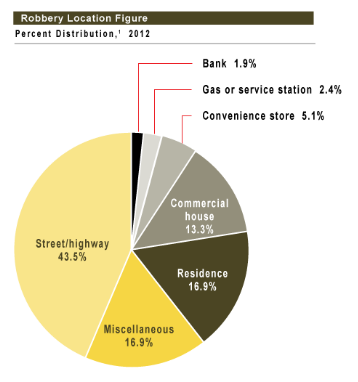 Robbery: The act of robbery is going towards someone and take something of value (money,credit cards, jewelry,etc..) to them. And possibly the person robbing could have a weapon on them to threaten whoever they are robbing. 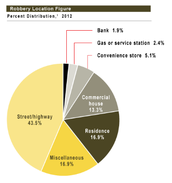 Considering aggravated robbery is a more serious crime. If you are convicted of committing this crime you will be charged with a first-degree with around 3-10 years of prison and around $20,000 in fines along with penalties like if you were a village or city police officer you are terminated from working with them along with if you were a teacher you're teaching licence would be taken.With a normal robbery you will be charged with a third-degree felony with 1-5 years of prison time along with penalties such as no longer being able to adopt a foster child and no longer being able to be a volunteer firefighter. In 1976 Troy Gregg committed both acts of armed robbery along with two cases of murder. 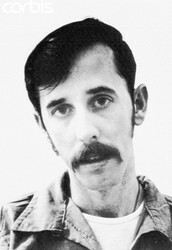 The jury assigned to this case sentenced Gregg to the death sentence. The death sentence was mostly regarding Gregg's murder charges rather than his armed robbery charges. Gregg fought against his death sentence saying it was 'cruel' and 'unusual' punishment. And violated both the 8th and 14th amendment. In Germany they define robbery by saying the crime is when a person. Takes moveable property from another person. And if a person is charged with robbery they will be sentenced to serve in prison for a year or less.